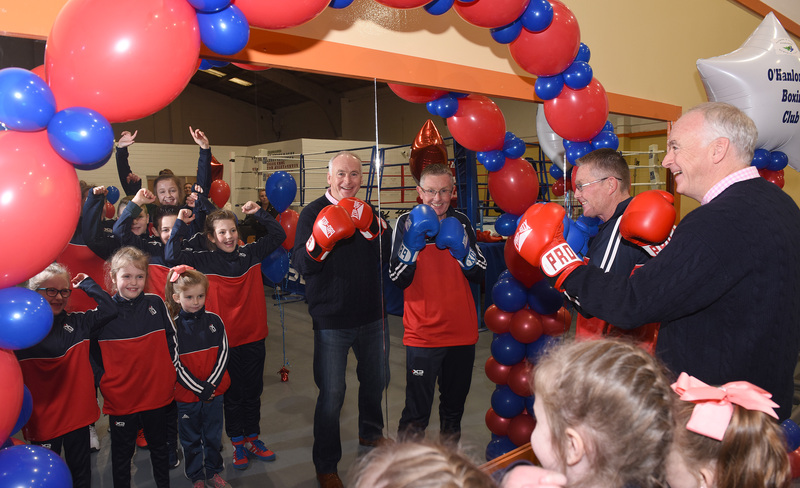 Thursday, 23 November 2017: Dundalk based O’Hanlon Park Amateur Boxing Club celebrated the official opening of its new spacious, top -class facility today. Located in the old Toymaster building in the Long Walk area of Dundalk, the new Club/Community Hall will be open to members of the community of all ages – children from seven years of age right through to adults who have reached retirement age. 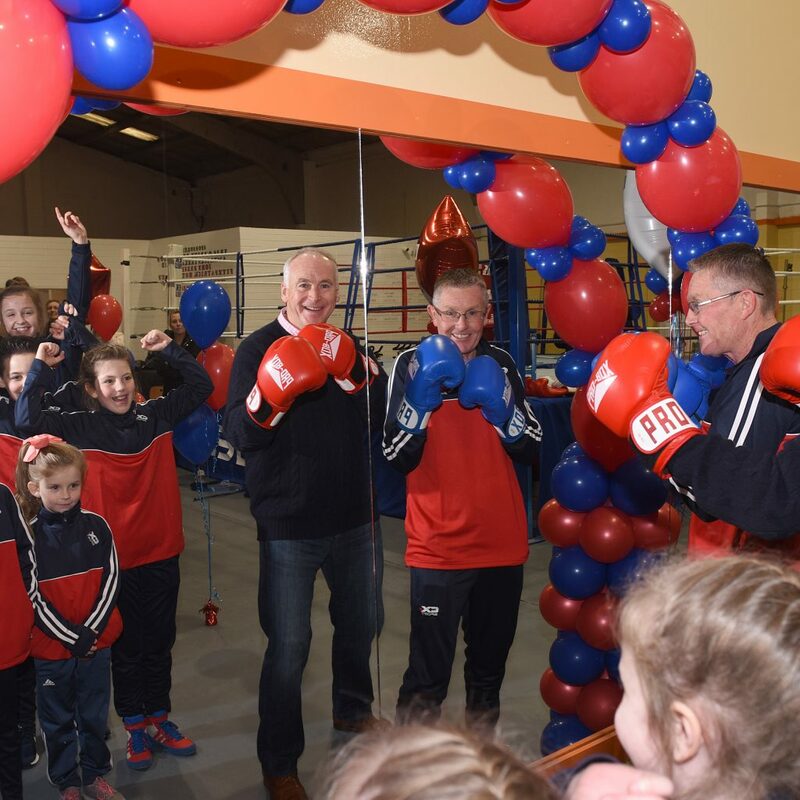 Hotelier John Fitzpatrick has been involved with the boxing club since 2011, when he made a donation to the Club when he participated in The Secret Millionaire show which aired on RTE 1. At the time John struck up a friendship with Paul Taaffe, one of the founding members of the Club and following the broadcast of the programme, John committed to raising additional funds for the club to help purchase a building that they could make their own, instead of renting the local Parish Hall as they did in the past. In the Parish hall they had to set up and take everything down each day that they used the space. 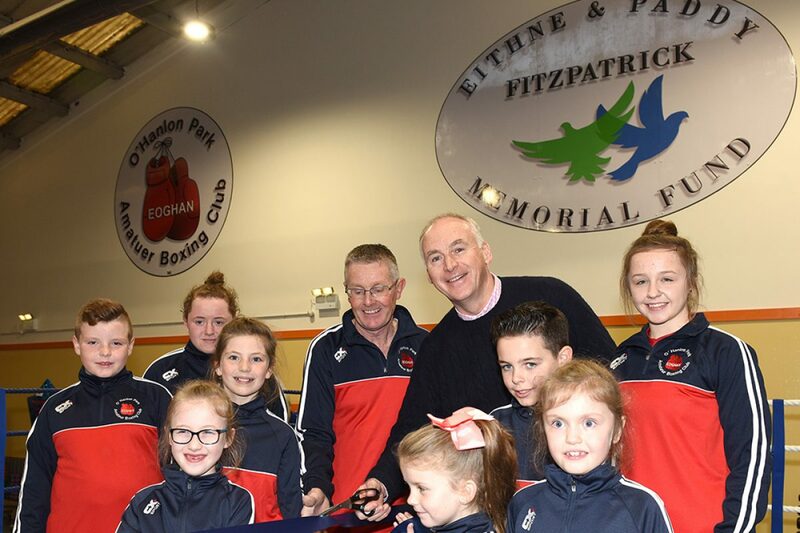 John helped raise more than €425,000 through the Eithne & Paddy Fitzpatrick Memorial Fund and the Boxing Club raised over €56,000 including a grant, to enable the Club move to the new building. The new building means that they will now have everything in place and be able to offer more days for the community to take advantage of a wide-ranging programme of activities. Special needs children, adults with low self-esteem, people who have suffer from obesity, former addicts and anyone who needs a friend are welcome to participate in special training programs to help them in their everyday life. When it operated from the local Parish Hall, the club had access 3 nights a week and approximately 125 members. It is hoped with the new facility to increase opening times from 10:00am – 10:00pm 5 days a week and open at weekends for competitions and Sunday training. In time it could be used by schools, disability groups etc. Ultimately it will be a facility for the community & potentially could be used by up to 200 children, young people & adults daily.